Aziza Ali is a multi-talented Singaporean culinary veteran with 39 years of experience in the food industry, and the author of the upcoming cookbook My Heritage Kitchen. She was also the owner of Aziza’s, Singapore first fine-dining Malay restaurant in Emerald Hill, and is currently a familiar face on local television cooking programmes, where she promotes Malay cuisine. In this edition of A Lighter Side of History in conjunction with Hari Raya Haji, Aziza will discuss the social context and cultural practices of Malay festivities such as weddings, Hari Raya Puasa (also known as Hari Raya Aidilfitri) and Hari Raya Haji, with a focus on food. 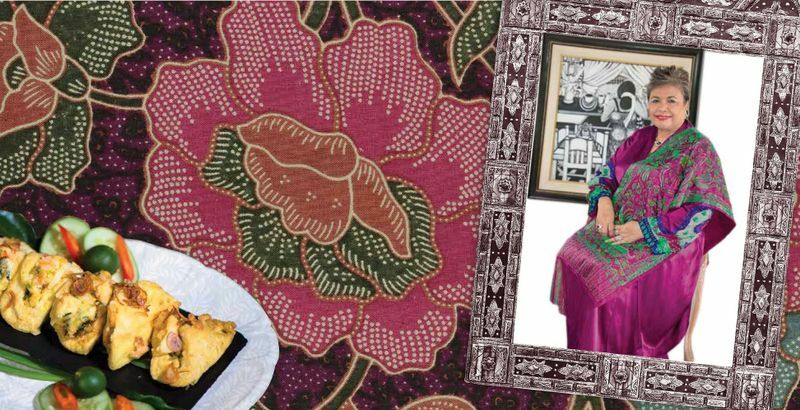 Using her own paintings, she will also share her experiences of living in a “Rumah Panggong” house at Kampong Radin Mas, as well as the use of traditional cooking tools and ways of preparing dishes. Participants will also get to taste delicious desserts specially prepared by Aziza. Aziza Ali is deeply passionate about food and cooking, as well as art such as jewellery design and painting. She first joined the food industry in 1978, and opened Aziza’s—a fine-dining Malay restaurant in Emerald Hill—a year later, and successfully ran it for 24 years. In 1996, the restaurant won the Singapore Tourism Board’s Best Dining Experience Award. Aziza is the author of four books, two of which—Aziza’s Creative Malay Cuisine and Sambal Days, Kampong Cuisine—are cookbooks. She will be launching her fifth book, My Heritage Kitchen, this year. She has also organised two art shows at the The Malay Heritage Museum and John Edross American Art Gallery. Aziza is a Judiciary Council member of the Culinary Institute of America, and in 2016 was inducted into the Singapore Women’s Hall of Fame organised by the Singapore Council of Women’s Organisations (SCWO). Registration is on a first-come, first-served basis at the following link below.